Customized fertility treatment plans tailored specifically to your needs. Please submit this form and we'll respond shortly to schedule an appointment that is convenient for you. Your contact information will be handled carefully by medical staff in compliance with Privacy Practices. Personalized, in-depth patient care from a compassionate medical staff all focused on helping you. We've helped thousands of couples struggling with infertility realize their dreams of having children. 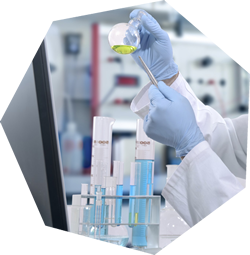 State-of-the-art diagnosis and aggressive infertility treatment plans for optimal outcomes. The Women's Fertility Center offers Reproductive and Fertility programs as a sub-specialty of Obstetrics and Gynecology. 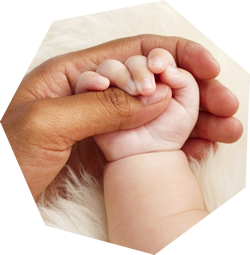 We are a successful, well-established fertility practice where the emphasis is on individual attention. With over 32 years experience, Dr. Philip R. Lesorgen has helped thousands of couples struggling with infertility realize their dreams of having children. An Assistant Professor of Obstetrics and Gynecology at Seton Hall University School of Graduate Medical Education, Dr. Lesorgen completed his 2-year fellowship training in Reproductive Endocrinology and Infertility at Thomas Jefferson University Hospital. He is a 1977 graduate of the Boston University School of Medicine combined 6-year MD-BA program and completed his 4-year residency in Obstetrics and Gynecology at Long Island Jewish Medical Center. Dr. Lesorgen is a board certified OB/GYN and a Fellow Senior Status of the American College of Obstetricians and Gynecologists. He has contributed articles on the subject of infertility to professional medical journals and is involved in several clinical research projects. 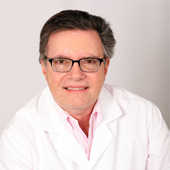 He is included in Castle Connolly Top Doctors: New York Metro Area and published in Bergen County Super Doctors. He has been recognized as one of the area's Top Doctors by Inside Jersey Magazine and (201) Magazine. 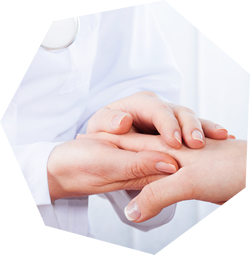 Personalized, in-depth patient care from a compassionate medical staff. Expertise in reproductive healthcare and treatment for endometriosis. State-of-the-art diagnosis and aggressive treatment plans for optimal outcomes. Comprehensive analysis to diagnose and prevent repeated pregnancy loss. Problems in conceiving and/or carrying to term due to ovarian dysfunction, tubal blockage, cervical factors, recurrent pregnancy loss, uterine malformations, chronic and acute diseases, and male factors. Insurance coverage for fertility evaluation and treatment varies from policy to policy. Unlike most other fertility centers, our office staff works tirelessly for our patients to determine the extent of their benefits. We will also secure any necessary preauthorization prior to initiating any treatment. We work with all insurances on an in and out-of-network basis, and our insurance specialist will work one on one with the patient. We will submit claims to the patient's insurance carrier and then await reimbursement from them. Our goal is to maximize your benefits while minimizing your out of pocket expenses. If you have no insurance coverage or partial insurance coverage, we have various discounted programs to assist you. Words cannot express the kindness and compassion you have for people going through difficult and trying times. We would like to extend our sincere thanks to you and everyone who gave us hope and help in receiving our precious gifts of life. How can we possibly thank you for the most precious gifts we'll ever receive? We haven't found the words and we're not sure we ever will. But we just wanted to say thank you so very much for making our dreams of having children come true. We're so very grateful for all of your efforts and for the chance you've provided us to have the family we always wanted. You will always hold a special place in our hearts. Thank you all for everything during my many visits and phone calls. Alyssa was finally christened on Sunday and we all felt very blessed. She is very special to us and she was worth waiting for. Although we could have skipped some of the minor problems we had along the way. I felt the support of all you during my couple of years of coming to the office. I really could not have continued with everything if I didn't get the emotional support and encouragement from all of you. Dr. Lesorgen is very lucky to have such a wonderful group of caring people working for him. Dr. Lesorgen, I am so happy to be your first successful G.I.F.T. patient. I felt very confident that this would work. When I started with you I thought that I would never do I.V.F. When I talked to you about it, you made me feel very comfortable about the procedure and I felt like I had to try it at least once. Now I have a beautiful daughter and I can't thank you enough for giving me such a special G.I.F.T. Thank you again for giving me that 7:15 appointment and for putting up with all of my tears. Thank you all so much for being so kind and compassionate! We are finally blessed with truly the perfect baby girl. Time does heal all wounds. We are grateful to all of you for heading us in the right direction! Sydney is a very lucky girl and needs to stay "strong"! Well, it's been five weeks and my husband and I are trying to settle into a new routine with our two children. We are so very happy to now have Michael as part of our family. I think "Big Sister" Gianna may be even prouder than us (if that's possible). John and I will be forever grateful to you because without your efforts, knowledge, and expertise we would have not had either of our children. The support you and your staff have given (from hormonal to emotional support) have been invaluable as it has resulted in two priceless and "precious treasures," our children. Words can never adequately express our gratitude to you for everything you have done. It is thanks to you and Dr. Rezuavi that we have this beautiful baby boy. We will never forget how wonderfully we were treated by your entire staff. Thanks so much for all your help for helping my husband and I. You brought so much joy and happiness into our lives by helping us to produce our adorable little Allena Megan, we love her so much. This note comes a little late, but I just wanted to thank you and your staff for all your help and support that you gave us. Our son is such a joy. It came to a point in our lives that we thought we'd never be blessed with such joy. But with all our hard work, we finally made it happen. I just want to point out that you had a terrific staff who gave me such support, besides my family and friends, who helped me get through a very emotional time in my life. Enclosed is a picture of the wonderful and precious son you helped bring into our lives (4 ½ mos.). P.S. We are also expecting again! The due date is early February! Just want to thank you all for your help and support. It really helped me through all the rough spots and the happiest ending of all. You helped make my dreams come true. Babies are truly special gifts and these three are more than wanted and loved. The medical staff at the Women's Fertility Center of NJ is committed to finding solutions for each person who seeks care from us. Please don't hesitate to contact us using the following information. 2017 Copyright © Women's Fertility Center of NJ. All rights reserved.